The Quartermaster from part vi of Planetarium: Captain Short John Brass, with a hummingbird on his shoulder (there are reasons) and 25% of his limbs missing (also, reasons). 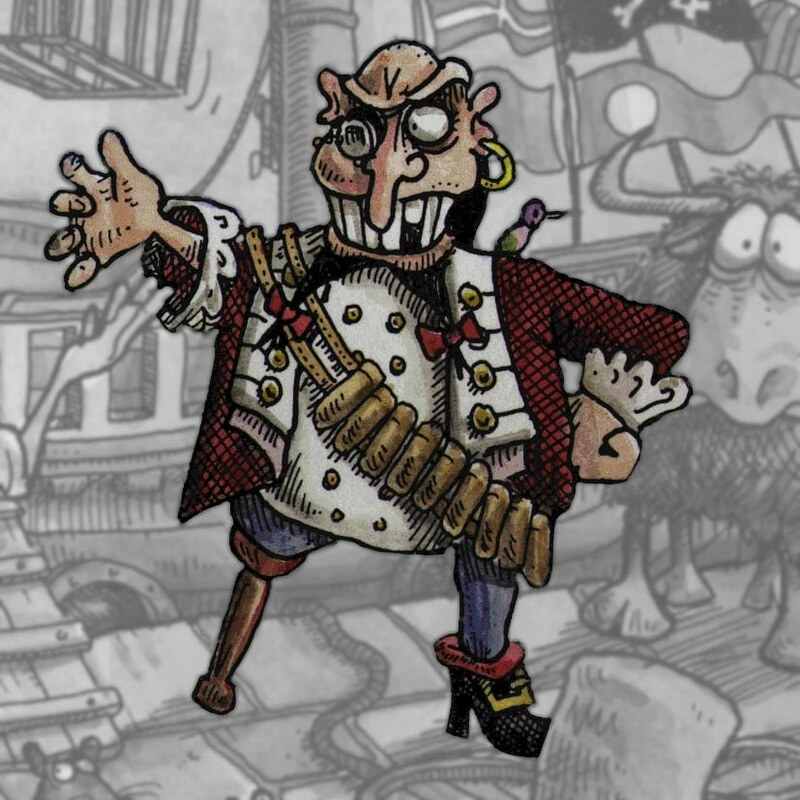 He’s a fractional pirate who only takes 25% of everything when he plunders. The text also mentions he wears an eyepatch and a monocle on the same eye.